Down to the wire, the heroes let a dinosaur eat the supervillain. Lawsuit to follow. Back from a Christmas vacation on the beach and I’m just about to head out again to visit family. It was a working vacation – polishing up the first draft of my next novel. I think I’m at that point in my writing where I need to be away from the world to get serious work done. When I’m at home I’m too busy blogging, marketing, checking local retailers, sorting through email, tweeting, liking, plussing, blah, blah, blah. I resolve to fix that this year. No more distractions. Oh, wait. What’s that you say, Kindle? I have Amazon coins about to expire? And what’s this? 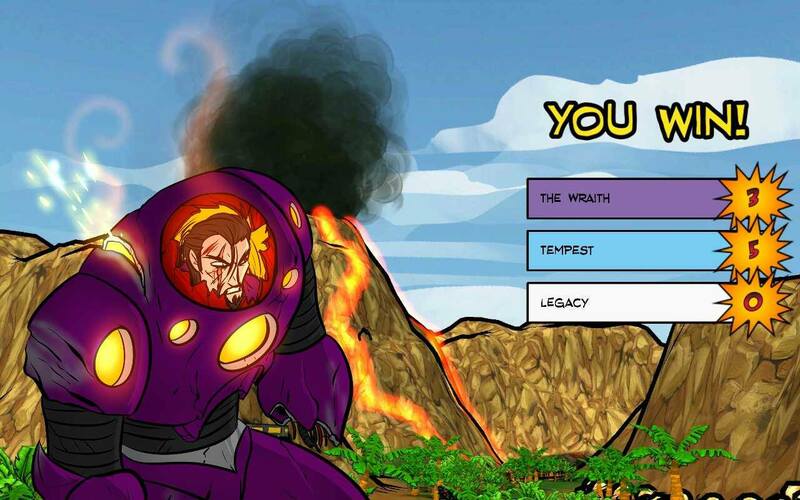 Sentinels of the Multiverse for my Kindle? I’ve got to say, the app is a wonderful recreation of the game. In fact, It one-ups the physical version by handling all the late game bookkeeping that comes from having the playing field strewn with equipment, ongoing effects and multiple instances of powers. Also includes some original art in the same vein as the card game such as heroes going from healthy to bloodied to defeated – a nice little touch. Want multiplayer? Just pass around your device. Single? The touchscreen makes it easy to manage the board, zoom into cards, and stop mid-action to review what’s in play before making a decision. I finished a game last night in which I was able to engineer a victory by having Baron Blade -eaten- by an Enraged T-Rex (part of the environment hazards of Insula Primalus.) Possibly the most epic ending I’ve had to a game of Sentinels, card-based or digital. Luckily I had the chance to play three rounds so far on the plane ride and here at home. That’s out of my system for a bit so now I can get back to writing. While making my purchase at the game store I ran across a free app, Pixel Dungeon. A rogue variant with 8-bit graphics and super addictive gameplay. You’re a brave adventurer in a dungeon full of traps, monsters and mystical items. True to the original dungeon crawl PC games, this is a do or die, perma-death game where if the hazards don’t get you, hunger very likely will. I’ve burned to death drinking unidentified potions, been devoured by ooze and succumbed to a fetid rat while the ghost of his last victim watched me die. And that’s all the fun stuff. Because running around worrying about losing all the gear you collected, hunting for scraps of rations, and licking the dew off plants for moisture is terrifying. Gotta go. Write. Yes, that’s it. Before I do, a word of warning: If you have Amazon coins that are about to expire or happen to get an Amazon gift card (and already have Crimson Son) then run. Run far away. DO NOT download games onto your blessed Kindle which has until now been a device for literature and enlightenment. Just don’t.